GM's OnStar system has just taken a leap into connectivity, adding audio Facebook updates, voice texting, and apps that control your car from your phone. Suddenly, your most expensive gadget might be your car. There are a few components to GM's announcement today, including next-generation hardware and an overhauled IT infastructure. But what really stand out are the inclusion of Audio Facebook and text-to-toice, along with a brand of phone apps that will be able to start your car and work your horn, lights and door locks remotely. Here's how the former works: If you've got an incoming SMS and your phone is connected to OnStar via Bluetooth, the car will read that text back to you. Simple enough! You can also send a voice-activated response, but you'll only be able to choose from one of several pre-programmed responses. For example, say "I'm driving" and your car will send back a text about how you're busy driving at the moment. You can't dictate a text back yet, and it's possible you may never be able to because of safety concerns. Likewise, Audio Facebook can read back your news feed to you and will let you update your status with an audio recording. Texting is in beta, Audio Facebook in early tests. The family of phone apps, known as MyLink, will hit Android first, with iPhone not far behind. It'll hit Chevrolet, Cadillac, Buick and GMC, and has already been shown off in the Chevy Volt. One of the more surprising aspects of today's announcements is that GM is opening up their OnStar voice API to developers. The idea of open-source apps for a car might be a little intimidating—especially given worries about a system like OnStar's potential vulnerabilities—but nothing would ever reach your vehicle without being strictly vetted by GM. It does speak to the larger question, though: is your car a gadget? And should it be? As more and more "infotainment" populates our cabins, it causes more and more distraction. Which in turn causes more accidents. It's clearly a line that GM is extremely cautious about, ensuring OnStar avoids features—like text dictation—that are potentially dangerously distracting. Let's hope they stay that way. (New York) Sept. 15, 2010 - OnStar launched new services, capabilities and technology for its nearly six million subscribers as part of a top-to-bottom realignment of the company's long-term strategy built around ‘responsible connectivity'. OnStar plans to pilot major innovations that significantly increase drivers' in-car connection to the world, while extending its safety leadership in the automotive industry. "These initiatives are all about OnStar's role in keeping drivers and passengers connected and safe," said OnStar President Chris Preuss. "Building on the rock-solid foundation of OnStar's safety and security platform, we were given a clear directive to develop OnStar as one of the chief pillars in defining General Motors' business going forward." "With the extremely high awareness and respect for the OnStar brand, we've created a long-term vision that includes new in-vehicle hardware, an all-new IT infrastructure and a host of new partnerships and services that provide the basis for growth," Preuss continued. 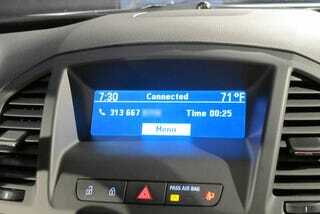 • Audio Facebook Updates: OnStar showcased in-car social media interactions that are being tested. If implemented, Audio Facebook Updates would allow OnStar subscribers to verbally update their Facebook status message through audio recordings and/or listen to their most recent news feed messages through the OnStar Virtual Advisor service. • Voice Texting: OnStar revealed beta tests for voice-based SMS (short message service). This feature would enable customers to have their text messages read to them using Bluetooth. OnStar revealed its Advanced Telematics Operations Management System (ATOMS) computing platform, one of the most powerful and comprehensive machine-to-machine telematics systems in the world. ATOMS allows for advanced geo-boxing and voice-texting engines, including Audio Facebook Updates. OnStar services are rigorously tested to ensure they are consistent with GM's safe driver principles and help reduce distracted driving. • In coordination with the GM Foundation, OnStar is providing a grant of $500,000 to the International Center for Automotive Medicine (http://automotivemedicine.org) at the University of Michigan Health System for research related to the prediction of injury severity level after a crash. This grant, along with three years of actual OnStar crash data, will enable OnStar and the University of Michigan Health System to link crash data to actual physical injuries sustained in vehicle crashes. The revolutionary research, conducted over approximately 18 months, will look at 1,000 incidents and ultimately will allow OnStar to predict not only the severity of a crash, but assist emergency care providers by providing the probability of certain types of injuries sustained by crash victims. OnStar, in coordination with the GM Foundation, also is providing $100,000 to the CDC Foundation to allow the Centers for Disease Control and Prevention to convene an expert panel to develop a multi-site study design in various states. The study's purpose will be to assess the correlation of real-time injury predictions sent directly from crash data with actual injury severity. The study will set the stage for broad collaborative research directed at optimizing the potential for automatic crash notification technologies to save lives. • OnStar unveiled First Assist, an enhancement of its existing emergency services. The First Assist service allows certified Emergency Advisors to obtain critical information and provide important instructions to subscribers until first responders arrive. Emergency situations can include the aftermath of a car crash or the birth of a child. After determining the nature of the situation, Advisors can provide rapid guidance, which may result in potentially lifesaving actions. OnStar Advisors providing this service are specially trained and certified by the National Academies of Emergency Dispatch™ (NAED) using the Medical Priority Dispatch System (MPDS) protocol. This service, available at no additional cost to active OnStar subscribers, will complement the efforts of public safety professionals. "The new campaign retains all of the core strengths of safety and security that OnStar is known for, but also adds the idea of ‘powerfully simple connectivity,'" said OnStar Chief Marketing Officer Sam Mancuso. " The creative showcases how we provide our customers connectivity to all the things that matter most to them, like family, friends, social media tools and our OnStar Advisors." The campaign, created by OnStar's ad agency Campbell-Ewald, will focus on the theme "Live On"– Safely connecting you in ways you never thought possible." Print, broadcast and online executions of the campaign launch Monday, Sept. 20. OnStar's new business strategy is built around a highly successful subscription model and leaves open the possibility for expansion beyond the automotive industry. "One aspect of our business that will never change is our live Advisors who are just a simple button press away," said Preuss. "They are what set us apart, and they'll continue to be available 24 hours a day, seven days a week."